Hour after hour. Witness after witness. 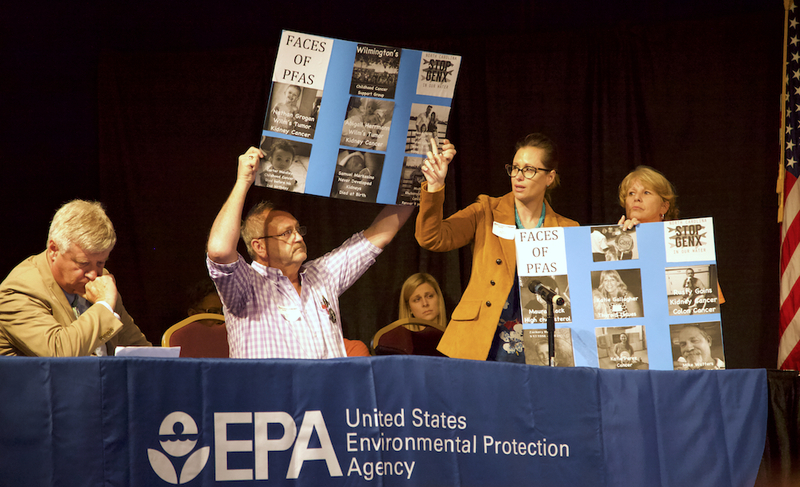 From 10 in the morning until 8 at night, the EPA hosted a community engagement forum on the crisis of fluorinated compounds, such as GenX, PFAS and PFOS, that are contaminating the nation’s air, drinking water and food supply. 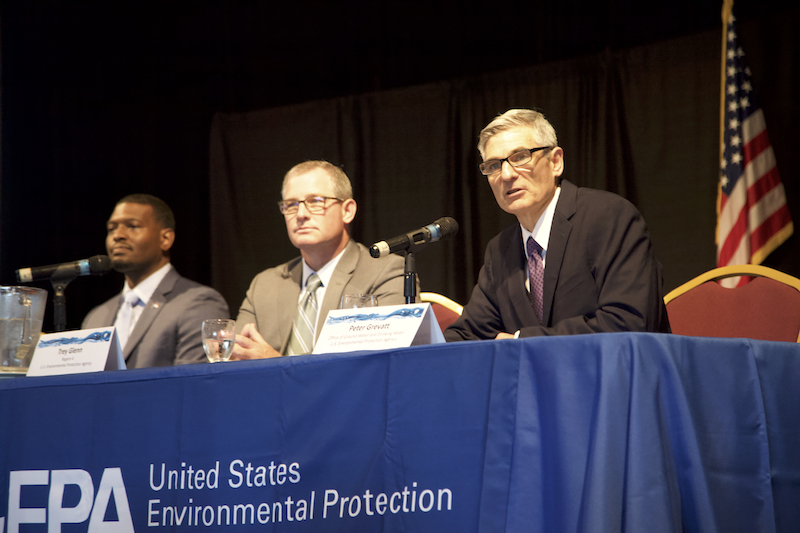 Held at the Crown Ballroom in Fayetteville, the forum was an opportunity for federal and state environmental officials to share the latest science on these toxic pollutants, and to hear from people most directly affected by the contamination. But the event succeeded only in part. While the science panel offered some astonishing findings about the compounds, there was scant discussion of how to adequately regulate the polluters. Citing a lack of money, staffing and time, the EPA had refused state environmental officials’ request to hold three forums, including forums in Wilmington and Greensboro, where the chemicals have been detected in the public water systems. Even with dozens of New Hanover and Brunswick County residents who traveled 100 miles north to speak, there were hundreds more who could not make the trip. 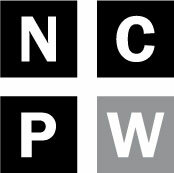 “It’s an injustice that there was no meeting in Wilmington,” said Deborah Daniels Maxwell, a district director with the NAACP. “You’re not representing them if they can’t talk to you,” added Ashley Daniels, a community organizer who lives in Wilmington. Meanwhile, both candidates for the Eighth Congressional District viewed the forum as a campaign stop, while other opportunists used the somber occasion to make sales pitches for water filtration technologies. Since the 1940s, fluorinated compounds have been used to manufacture Teflon pans, water-repellent clothing, microwave popcorn bags, fast-food wrappers, fire-fighting foam and hundreds of other applications. Tens of thousands of fluorinated compounds exist, but only about 4,700 have names, and of those, the science is still lacking. “We don’t know about them until we discover them,” said Andrew Gillespie, associate director for ecology at the EPA’s office in Research Triangle Park. Some persist for decades in the environment, accumulate in the food chain, and are toxic, even at very low levels. Once released into the air, groundwater or surface water, as Chemours/DuPont has intentionally done in and around the Cape Fear River, it’s difficult to predict the compounds’ behavior. They might break down into other chemicals. They start as one compound, interact with rain, then fall to the earth as a different one. They are durable, widespread and nearly impossible to avoid. Exposure to these compounds—although at what levels and for how long is still under investigation—can cause developmental and reproductive problems, thyroid disorders, a depressed immune system and even cancer. Even when the materials are responsibly disposed of in municipal landfills, items like a popcorn bag or couch cushion can release the chemicals into the leachate—liquid that collects in tanks at the bottom. But if the landfill leaks, the compounds enter the groundwater and from there, potentially the drinking water. Chemours is behind the GenX discharges into the Cape Fear River. Although DEQ has ordered the company to stop all GenX discharges, the damage is done, and done so without financial penalty. Since the 1980s, Chemours’ actions—some intentional, others negligent—have contaminated the drinking water for thousands of residents in Bladen, Cumberland, Brunswick, Robeson, and New Hanover counties. If the EPA succeeds in listing PFAS, such as PFOA and PFOS, as hazardous substances under the Superfund program, that designation requires potentially responsible parties to pay for the clean up. But companies have found creative ways of avoiding accountability, declaring bankruptcy or stalling in court, for example. Bill Edge lives on County Line Road near the Chemours/DuPont plant. “We are a GenX family,” said Edge, who retired from the US Army Corps of Engineers. His duty station was near Chemours, and he said he saw the company discharging near there in 2002. A pipe under the road had rusted, and leaked corrosive fluorine—a component of fluorinated compounds—into a gully. The mouth of the gully ran into the Cape Fear, where Edge said he saw people swimming and fishing. “This company’s track record is one of neglect,” Edge said. He has installed a reverse osmosis system at his home. The membranes in that system are made by DuPont. These emerging contaminants are a statewide problem. GenX “is not the only contaminant we’re wrestling with, and the Cape Fear is not the only waterway,” said N.C. Department of Environmental Quality Secretary Michael Regan. In fact, fluorinated compounds have been detected in Jordan Lake, Lake Michie near Durham, and in Greensboro’s public water supply. The source of Greensboro’s contamination is likely the Piedmont Triad International Airport, where fire-fighting foam is used. At least one well in the town of Atlantic in Carteret County also tested high for fluorinated compounds, likely from a nearby military base, where training exercises also use the foam. A $10 million study, funded by the Department of Defense, will examine the health of residents near and around eight military bases; the locations have not yet been chosen. Another federal health study of 350 children and 1,100 adults is scheduled for Peace, New Hampshire. Based on funding levels, the EPA plans to expand that study to other areas of the U.S. The residents know that it’s difficult to prove a cancer cluster. There has never been one officially identified in North Carolina, although one possible cluster is under investigation close to Lake Norman near Mooresville. Nonetheless, the incidence of rare cancers, childhood cancers, and other severe health disorders are impossible to ignore. “Our cancers aren’t holding up signs saying, ‘We were caused by C8. We were caused by GenX,'” said Rhonda Dunn, who lives in the Gray’s Creek neighborhood.